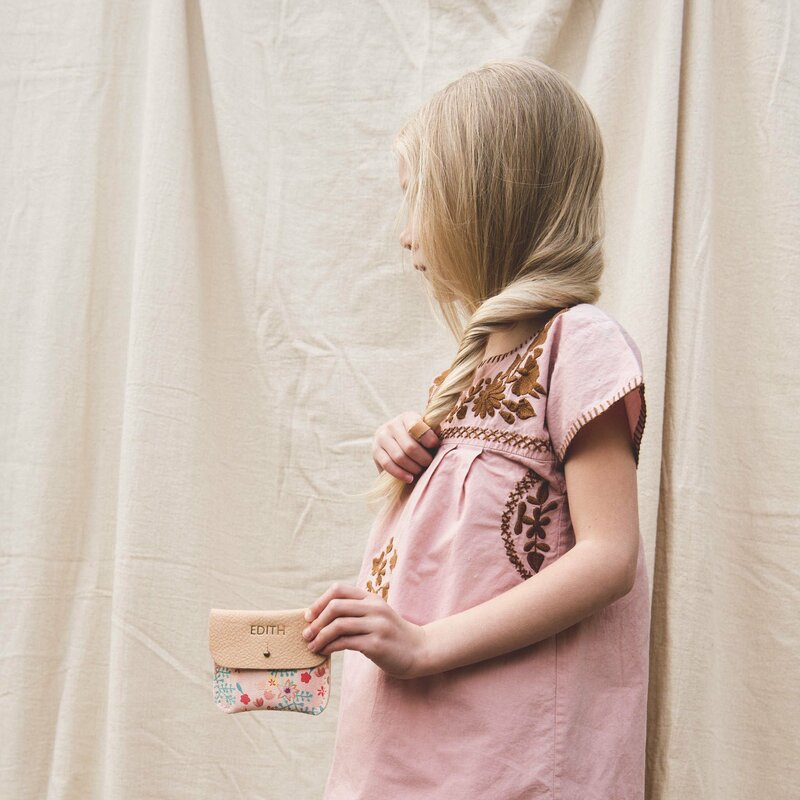 At the last London ShopUp event in December, I got the kids each their own little leather coin purse, monogrammed with their name on the front. It made for the perfect stocking stuffer for each of them and was one of their favourite Christmas gifts. 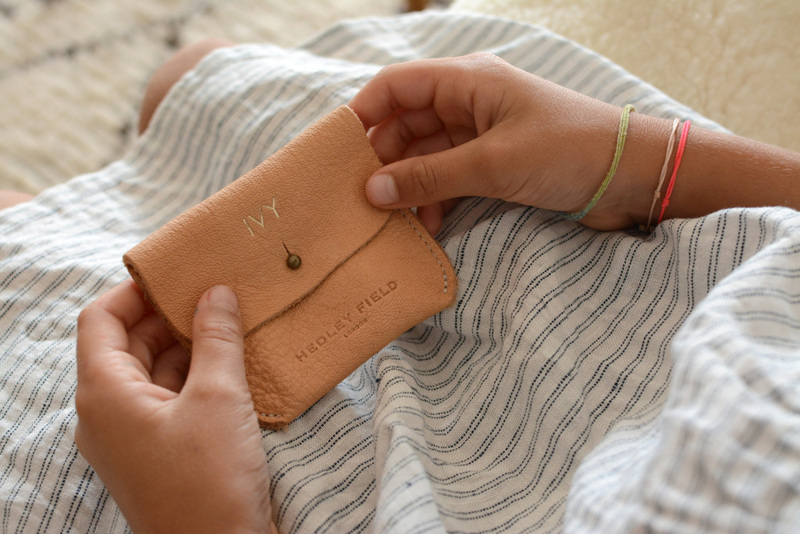 Alice from Amy & Ivor has set up a division of her company called Hedley Field, which specialises in handcrafted leather accessories made from carefully sourced vegetable tanned eco-leather. Alice was at the ShopUp with her embossing machine on hand to personalise each item, which made it all super quick and easy. 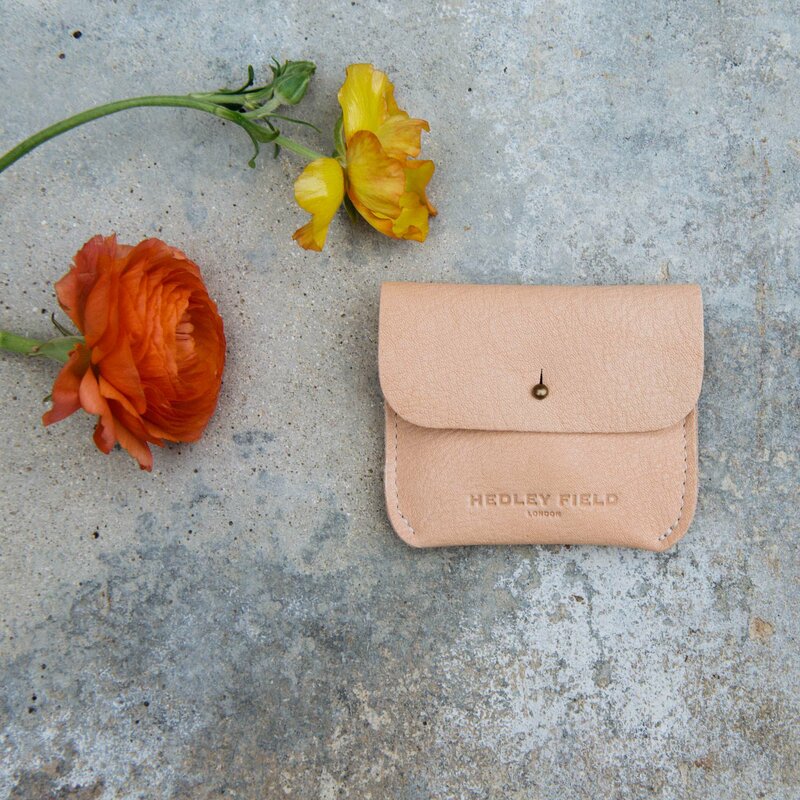 The Hedley Field accessories collection now consists of leather zip pouches and totes as well as a selection of coin purses in different colours. Everything can be monogrammed with up to seven characters, making them perfect gifts for both kids and mamas. A cute gift idea for teens too! These are beautiful and I love the gold monogram. Funny…I just had a baby and we named her Edith. 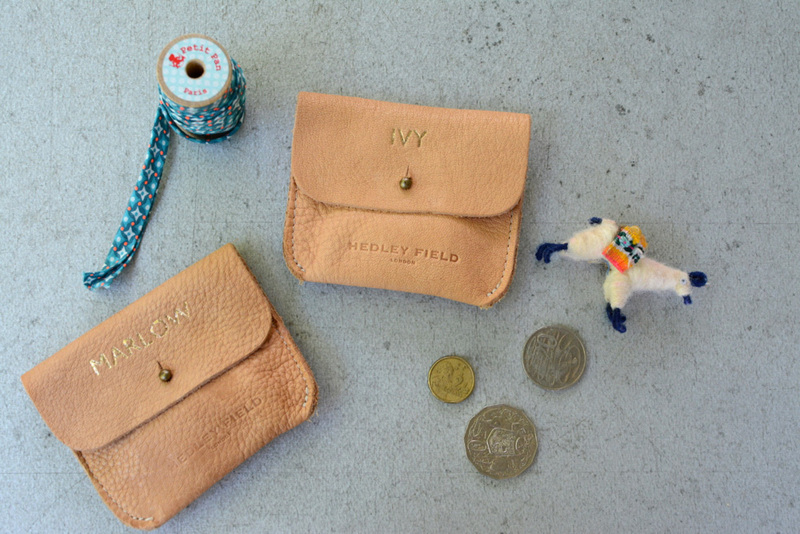 Would love this coin purse for her.